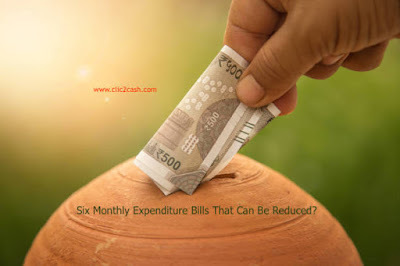 Home / Personal Finance / Six Monthly Expenditure Bills That Can Be Reduced? Six Monthly Expenditure Bills That Can Be Reduced? Do you have a kind of love and hate relationship with the monthly bills you have? Believe it or not, you are not the only one. Most people enjoy a contemporary lifestyle and the perks it offers, but it really doesn’t mean that they enjoy making a payment for any of it.There are few ways to save money without deducting any present services. However, did you know that there are some monthly bills you can negotiate to a discounted rate? There are certain bills such as property taxes, car payments and mortgage payments that you just cannot avoid. Other bills can be lowered, but only if you are willing to barter with the creditors. There are several distinct bills that are definitely worth your time to negotiate. In the cable industry, there are so many competitors that provide service and waiting for your call to get you onboard as a customer. In many of these cases, the cable companies realize the ease that customers have to choose one service over the other. Many of these providers might seem greedy, but wise enough to know when to let their guards down. Contact your cable bill, but before you do, make sure you have researched pricing for the competitor.Normally if you pay yearly ,they will waived one month free. Be prepared to let them know the choices you have and that you wouldn’t mind switching. You will definitely get their attention. Similar to cable television service, online service is very competitive. You can get away with double discount, if you have both services with the same company. However, if your Internet service is with a different company, you would have to make the phone call with the same negotiating strategy as you did with the cable company. Whether you have sufficient funds to completely pay off your hospital bills, take another approach by calling to see if you can negotiate to a lower amount. Many hospitals strapped for cash will consider taking a lesser amount than what is billed, if you decide to pay the lower amount in full and also in a timely manner.You can buy generic medicine or you can buy online medicine that will give you much discount. If the interest rate on your credit card is too high, you can call the company to request a lower rate. If your credit history shows timely and responsible payments and if you have been a long standing customer, you may be able to get the credit card issuer to budge. Let them know your willingness to do a balance transfer. If you aren’t getting anywhere, then kindly threaten to go to the competition. The auto insurance industry is also very competitive. For that reason, be bold in your negotiation tactics to receive some huge savings and discount. If you have been with the company for quite a number of years, and a good driver without too many claims, you may oftentimes get your way. Normally in every LIFE Insurance payment in yearly mode there is some rebate. So always try to pay in yearly mode. Many renters do not research the market rental rate, but instead, they will accept whatever the landlord deem as fair. You don’t have to. Do your research to see what the rental prices are going for in your area. If they are lower, you can contact the landlord with proof and ask for a discounted price. If you are a good tenant with a long term lease, you may be able to convince the landlord. It never hurts you to ask when you want a discount or additional savings. The worst case scenario is to be told NO! You would be surprised the kinds of discount you could enjoy – just by trying.